Mr. Del Vecchio joined Athyrium in 2016 and currently serves as Controller. 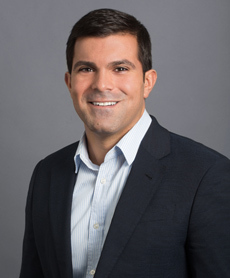 Prior to joining Athyrium, Mr. Del Vecchio was a Vice President at OWS Capital Management, where he was responsible for the accounting, finance, and compliance functions. Prior to that, Mr. Del Vecchio was an Associate at GlobeOp Financial Services, where he delivered administrative support to hedge fund and private equity clients. In that capacity, he managed all fund accounting and operational functions. Mr. Del Vecchio attended Union College and received a B.A. in Economics from the State University of New York at Purchase College.